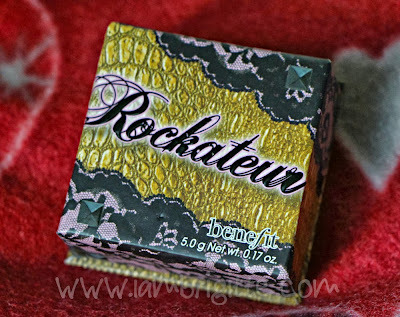 IAMBRIGITTE : Rock it with Benefit's Box O' Powder in Rockateur! 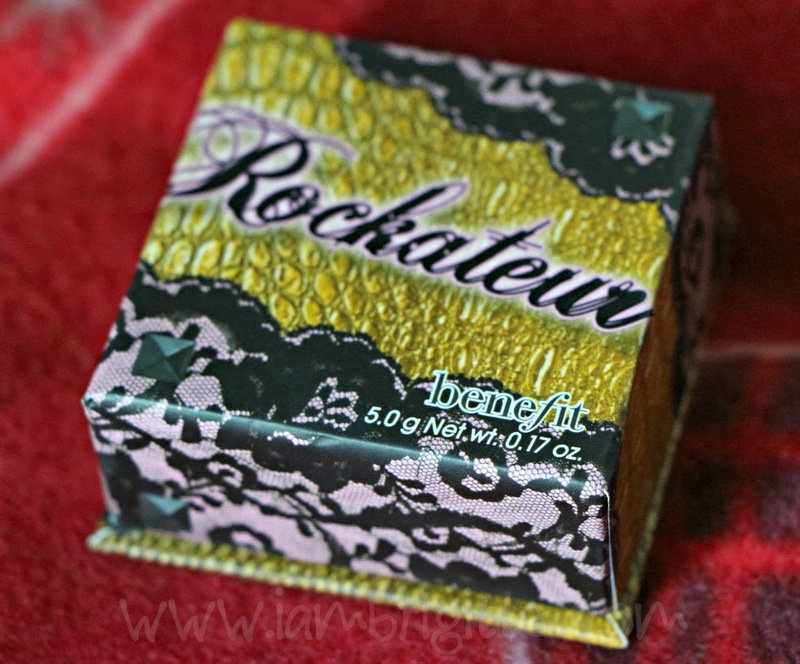 Rock it with Benefit's Box O' Powder in Rockateur! 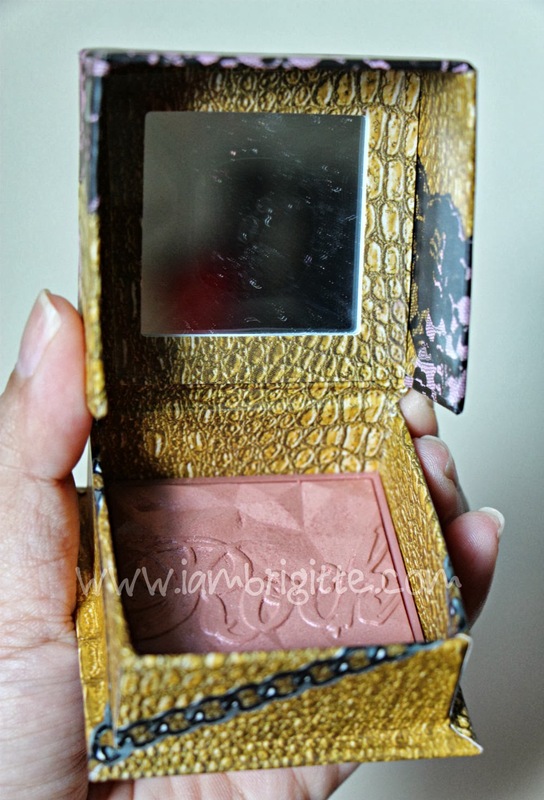 A few months ago, during the Bloggers Launch for Benefit's Fake Up concealer, we got first dibs on what products to expect from the brand which probably has the cutest packaging ever. 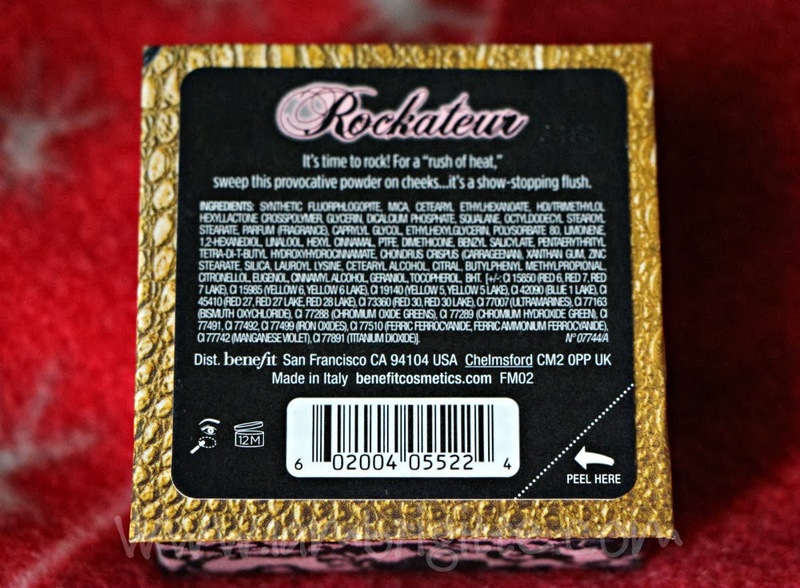 One of these products is the brand's newest addition to their famous Box O' Powders, the Rockateur. There were a lot of Ohhhs and Ahhhs, and all of us were left with a wish for this baby to come sooner. And after 4 months, I finally have one! Just like the other Box O' Powders, this costs $27 (plus tax) but this by far has the smallest amount of product at .17 oz. 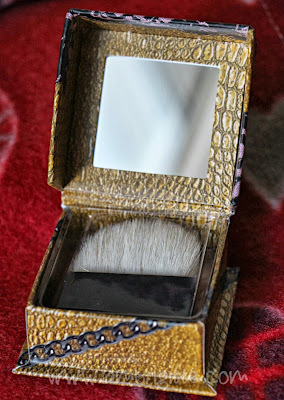 Like the others, it also comes in a cute, nicely printed little box made of cardboard with a brush and a mirror. 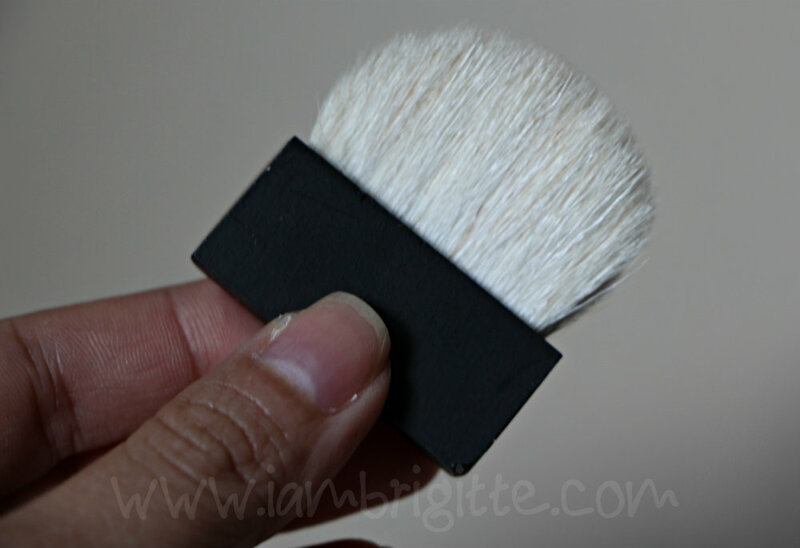 As for the brush, I've noticed that this one has round edges and is actually softer. I have Coralista and I find the brush too stiff for my liking. I threw it away just so I don't have to take it off and the plastic that separates it from the product each time I'm going to use it. The pan has a sort of 3D design with the word "Rock" embossed. It has a fine, sparkly shimmers but you don't have to worry because it's just an overspray that goes away in a few swipes. 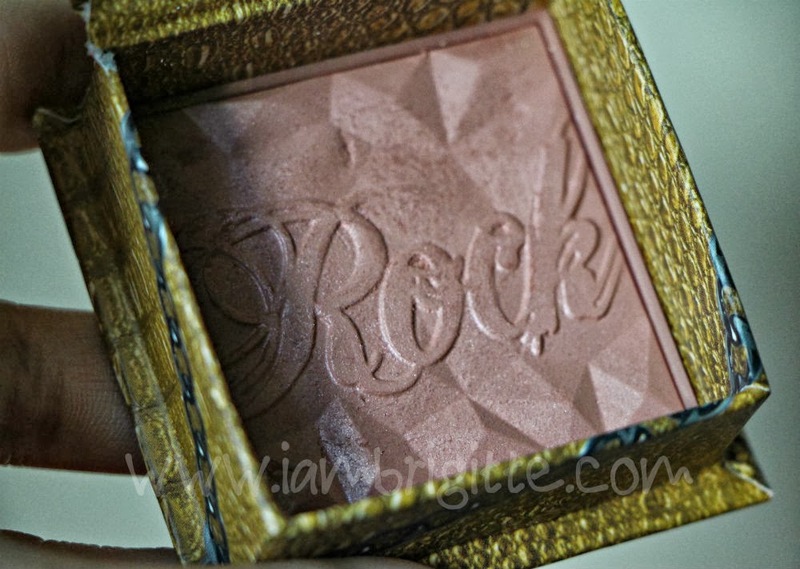 The middle part where the word "Rock" is don't have the shimmers but I'm sorry I'm not able to really show you that. I just got too excited when I got this that I immediately used it without taking a photo first. When I got home after buying it, I swatched it and saw the frosty finish. I was like "WTH!" 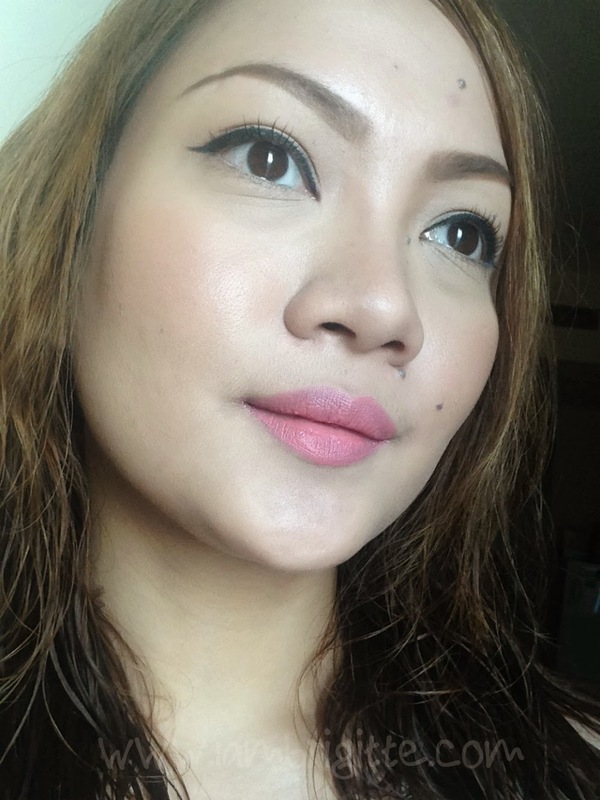 You see, people with super duper oily skin like me tends to stay away with anything shimmery. 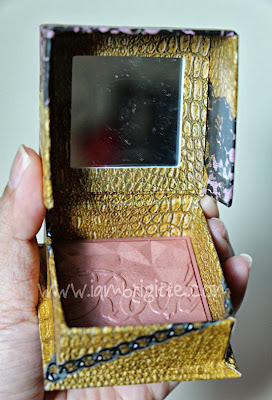 It makes us look oilier, and with this shade, it will just make me look muddy or darker. 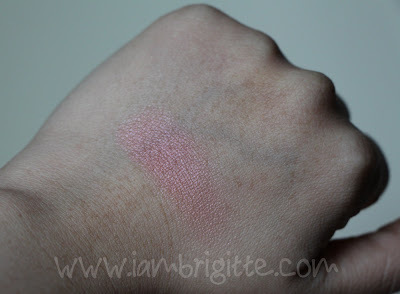 I was able to swatch this before and I liked it, but probably it's the lighting inside the venue that made me not notice how frosty it is. 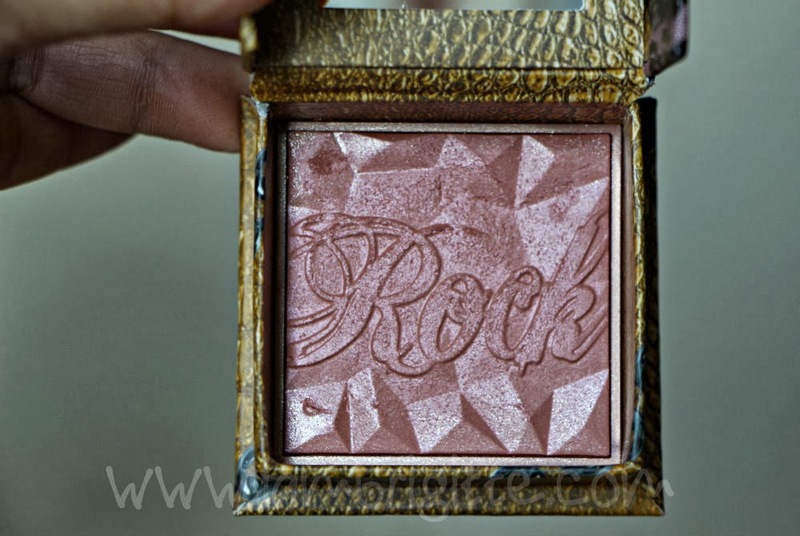 When I saw it at Ulta, I didn't swatch it anymore and just went straight to the counter to pay for it. So yeah, when I finally got to see it under natural light with all the frost and the beige, coral, brown and pink going on, I kinda thought I made a mistake. Unlike the other Box O' Powders, this one has a softer, almost-creme like formula. You have to be light-handen in swiping a brush against it so you won't damage the product. But after finally using it on my face, I'm just so glad I bought it. Instead of making me look muddy, it actually brightens up my face. 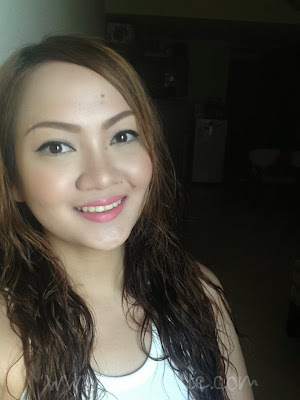 I look glowing, fresh and well, not oilier! 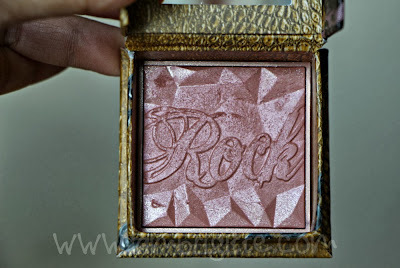 I've been using pink blushes for the longest time and stayed away from other shades of blushes most especially those that are almost the same shade like this one. But among all the others I've tried, this one is the BOMB! I've been using it on most days that I'm out and it never fails to give me that healthy glow. 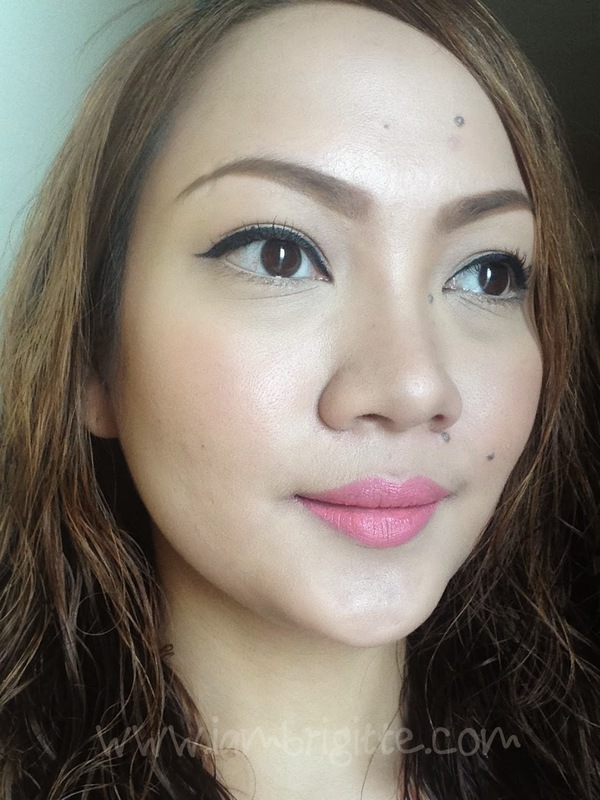 The more you buff it on your skin, the more glowy it would look. But not the disco-ball kind, so don't worry. Staying power is awesome too. It stays on my skin for the entire time I'll be out in this sunny, humid country of Dubai. It would start to become unnoticeable after around 8hrs of wear. The scent. 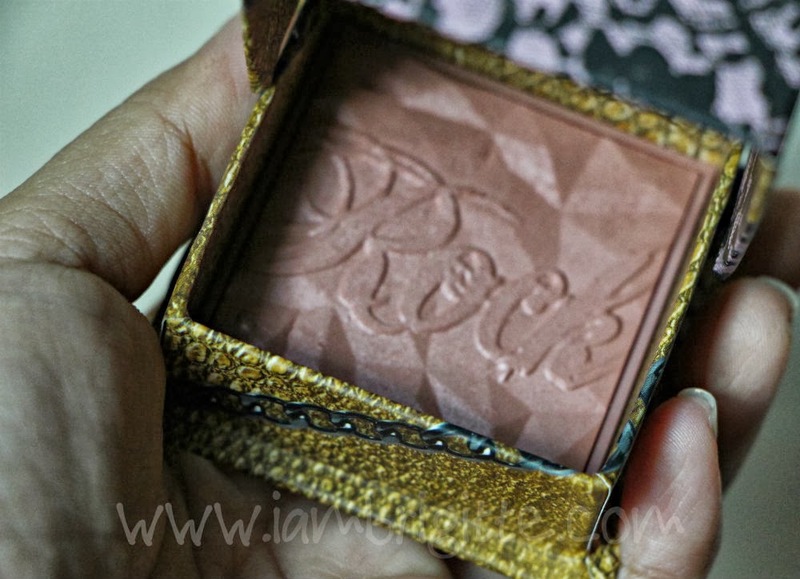 I don't know but it smells like a grandma's old makeup to me. Yes, but after I finish this box. I don't think this is limited so no need to hurry in getting a backup. For those who have tried swatching it at the back of their hand or somewhere else except on their cheeks, please try applying it there. 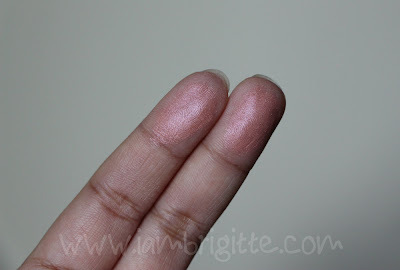 I'm pretty sure I'm not the only one who got turned off with the shade after swatching it on their fingers, but I tell you this baby would totally rock your world (and the others around you) when you wear it. Okay, I might be exaggerating there, but just try it and most likely, you'll like it like I do. Besides, you'll never know unless you try. 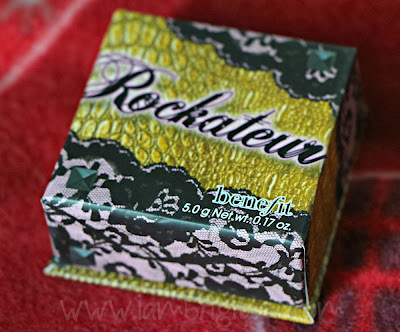 So, who else is loving Rockateur! ?